Honda to re-introduce the HR-V? Buoyed by the success of the Nissan Juke, Honda is planning to launch a new small SUV, probably in 2014. 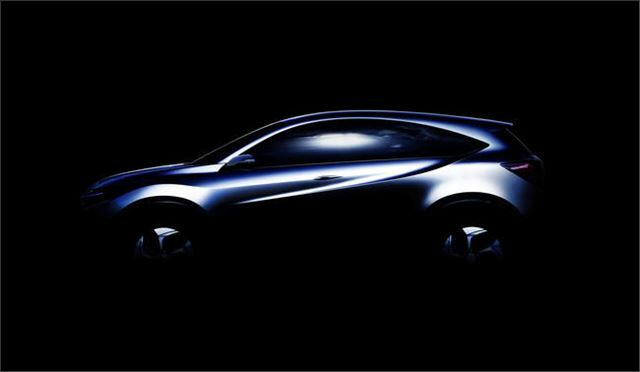 The Honda Compact 'Urban SUV Concept' is to make its world debut at the 2013 North American International Auto Show on 14 January 2013. All we have so far is the Urban SUV Concept sketch (above) of a new global model based on the Honda Jazz platform that combines a sporty SUV profile with a spacious interior utilising Honda’s centre-tank layout, creating a highly functional design. This would be an ideal recipient of Honda's brilliant new 1.6 i-DTEC engine, possibly forcing Nissan to fit the Renault 1.6 dCi 130 to the Juke. And people at Honda are already naming it "the new HR-V" after Honda's sorely missed, ultra reliable mini SUV of ten years ago. It will arrive at a time when Ford is launching its South American built EcoSport mini SUV as a global model, while Peugeot/Citroen hopes to get a mini SUV onto the market in Summer 2013.